Recent epidemiological studies suggest that cancer risk after exposures with doses comparable to the dose limits for occupationally exposed workers may be larger than assumed by ICRP in the derivation of these limits. The value of cancer risk from such exposures and its dependence on tissue, radiation type and individual factors is largely unknown. The innovative approach proposed here combines epidemiology and radiobiology in order to quantify cancer risks after low-dose or low-dose-rate exposures to ionizing radiation. Key factors of radiation induced carcinogenesis such as genomic instability will be measured in cancer tissues and blood samples from members of the following radio-epidemiological cohorts: French Haemangioma Cohort, Mayak Worker Cohort and thyroid cancer cases after the Chernobyl accident. Inter-cellular communication after exposure to low-dose radiation exposure and its influence on apoptosis, cell proliferation, differentiation and genomic instability will be explored with 2D cell cultures and 3D tissue models. This includes research on stem cells, which will be isolated from healthy human breast tissue. 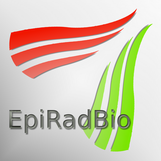 The results of the radiobiological studies will be integrated in the development of models of carcinogenesis for evaluation of major epidemiological cohorts: Atomic Bomb Survivors, French-Swedish-Italian Thyroid Cancer Cohort, Mayak Worker Cohort, Swedish Haemangioma Cohort, UkrAm Cohort on thyroid cancer after the Chernobyl accident, and UK National Registry for Radiation Workers. Cancer risk will be determined for the breast, lung, thyroid and the digestive tract after low-dose-rate exposure to low-LET radiation (external gamma radiation and internal radiation from 131I) and to high-LET radiation (alpha-particles from incorporated plutonium). Lifetime cancer risks including individual risk factors will be calculated to establish a new basis for deriving dose limits and estimating cancer risks including those from medical diagnostic exposures.